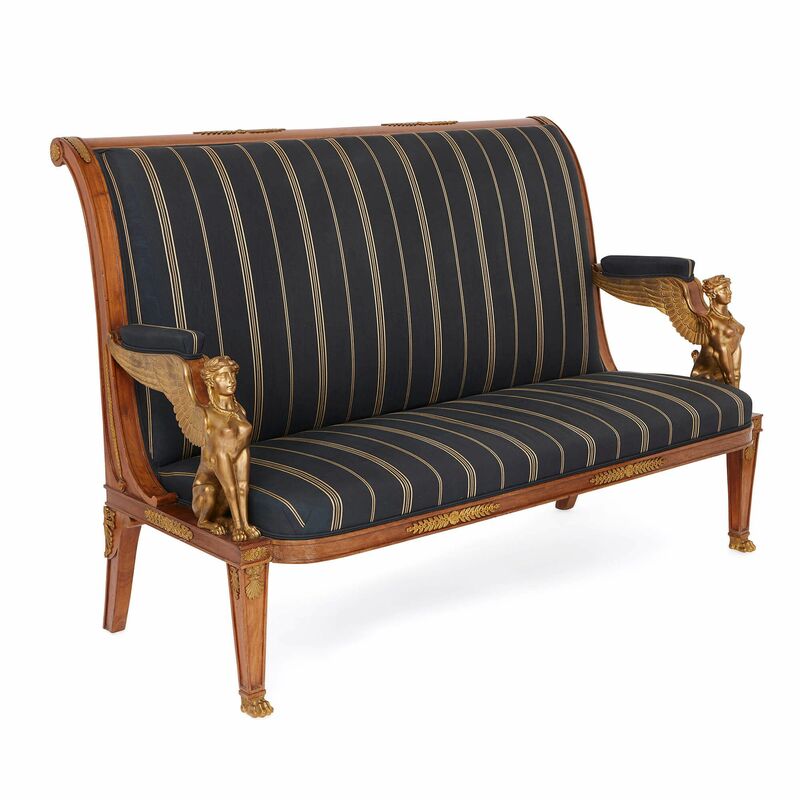 This magnificent upholstered salon suite has been designed in the Empire style, with large ormolu winged sphinxes, palmettes, rosettes and laurel leaves. The grand set of seating furniture consists of two armchairs and one sofa, all designed in the Empire style, featuring ancient Egyptian-inspired ornamental mounts. 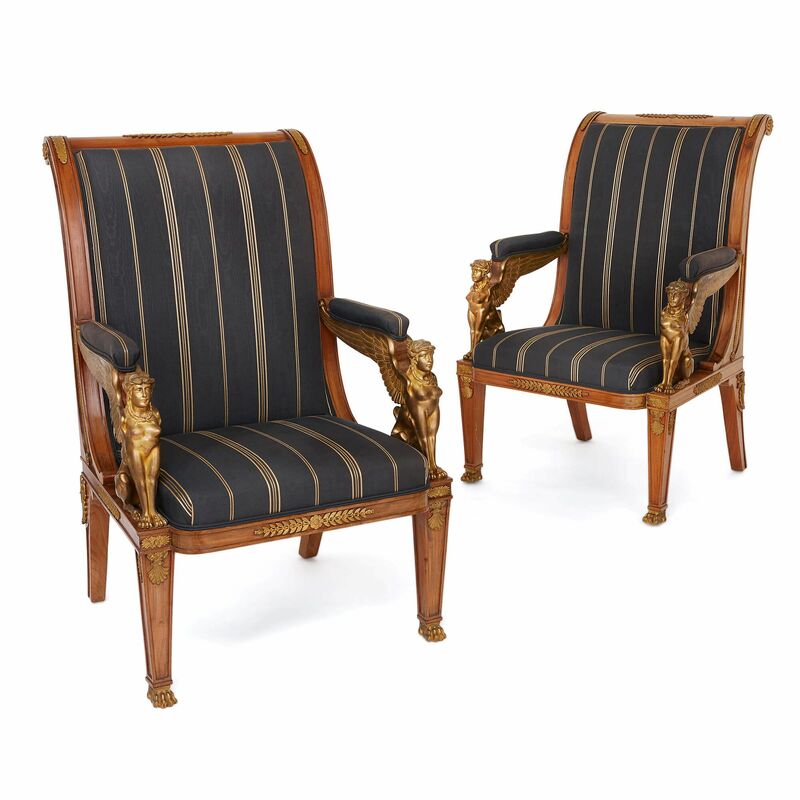 The pair of armchairs have mahogany frames, mounted with ormolu ornament, and the seats and backs are upholstered with a gold-striped black fabric. 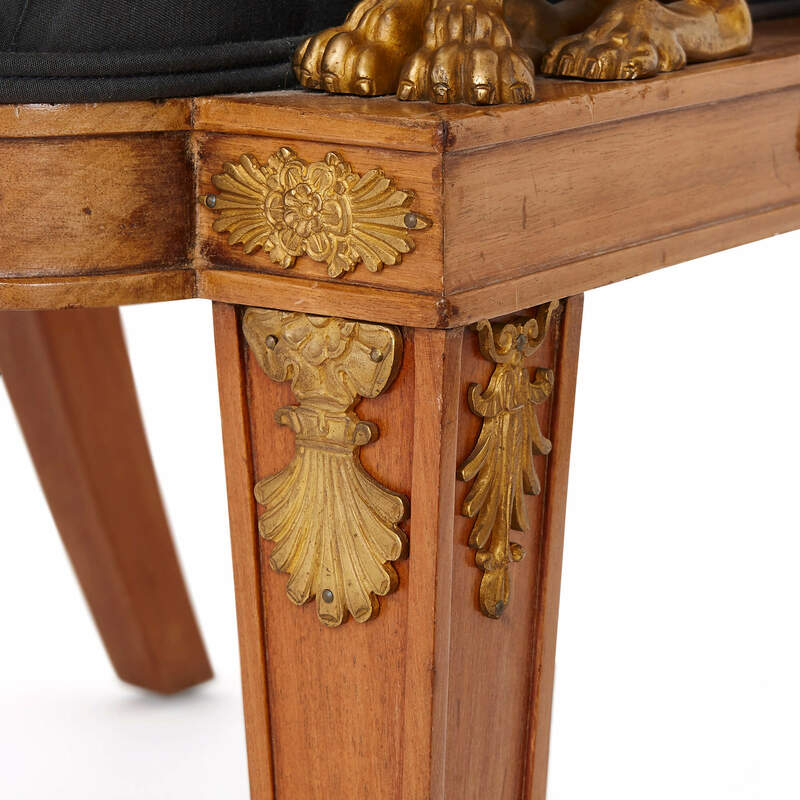 The front two legs are set on ormolu paw feet, while the back feet are plain mahogany, as is typical of Empire style furniture. The legs are four-sided, and taper outwards slightly near their tops. 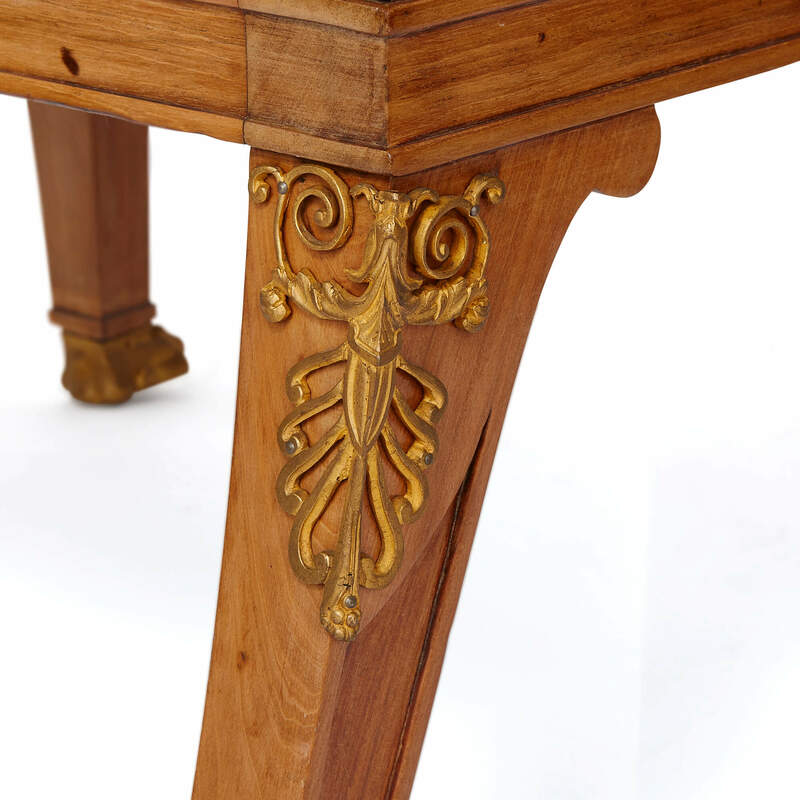 The upper part of the legs are mounted with ormolu palmettes and rosettes. A long, horizontal laurel leaf design with a central rosette decorates the chair aprons. 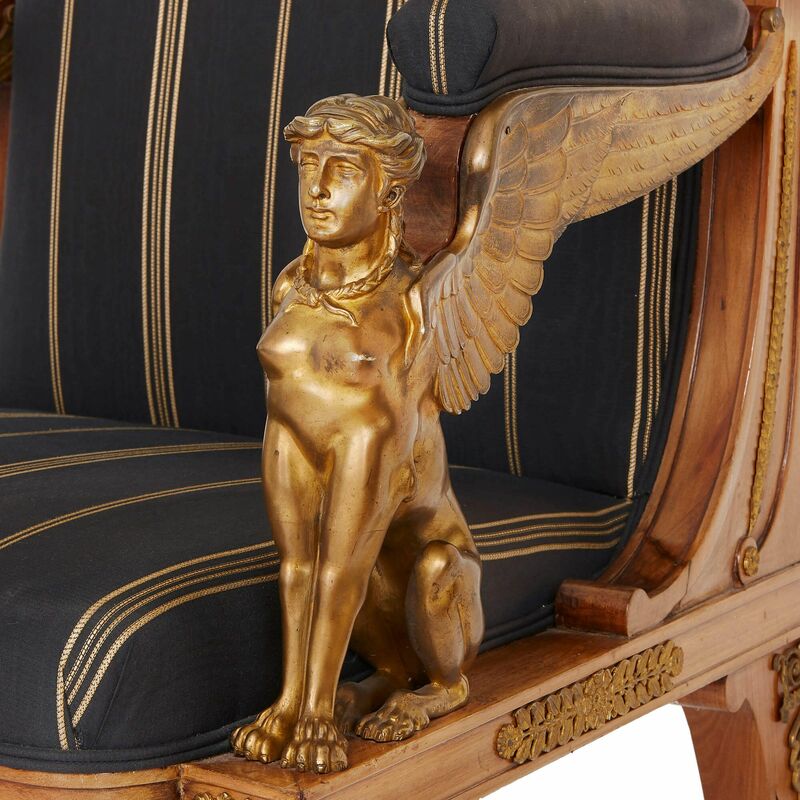 Perched on the front two legs of each chair are a pair of ormolu winged sphinxes, which serve as arm supports. 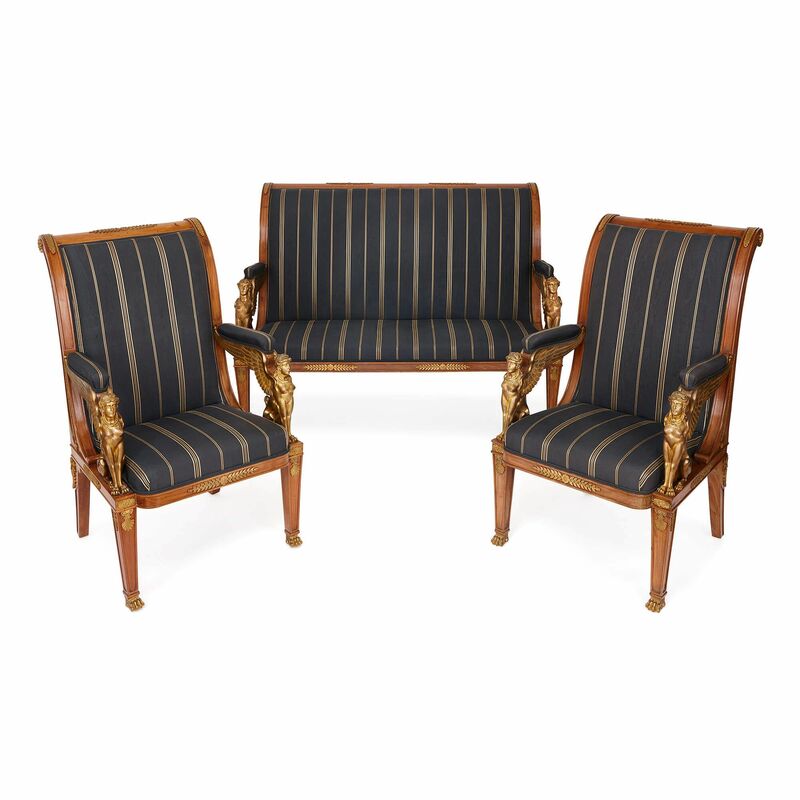 A padded black fabric, striped with clusters of vertical gold lines, covers the arms, seats and backs of the chairs. 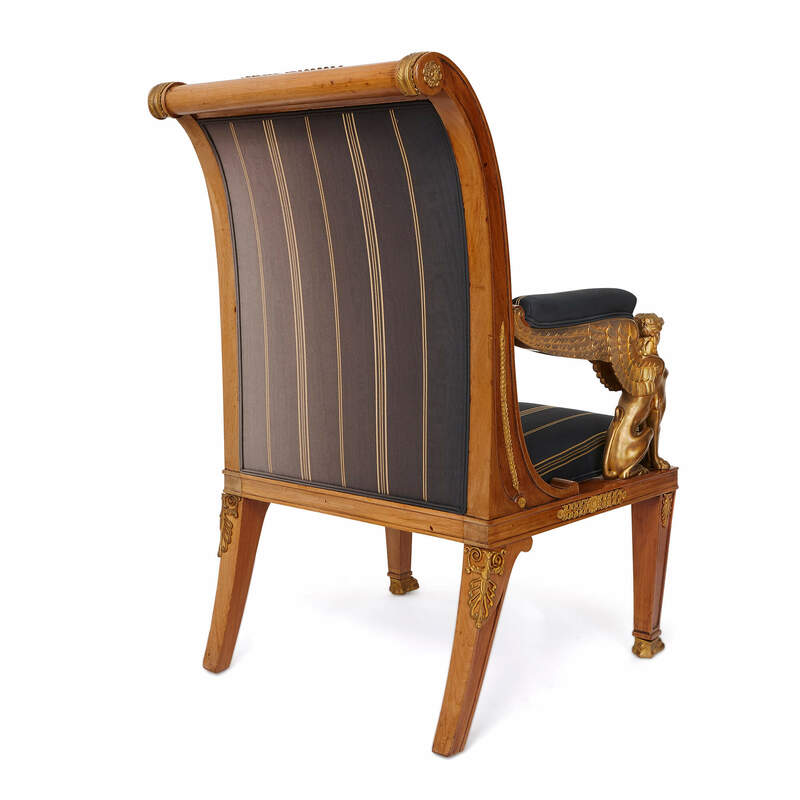 The chair backs arch backwards slightly, and the mahogany frames curl around to form scrolls. Ormolu mounts decorate this top rail, taking the form of rosettes, stylised leaves and a laurel leaf pattern. The sofa is of broader proportions but with a matching design, and can comfortably seat two people. This three-piece suite is of identical design and origin to the following pair of armchairs, the only difference being the colour of the upholstery. As such, this suite can be purchased as a set of three, or together with the pair of armchairs as larger five-piece salon suite.